Welshman Mark Williams has trounced world number one Mark Selby with a win of 6-5 at the first round of The Masters 2018. Alexandra Palace was the venue for the epic opener in front of the packed crowd. 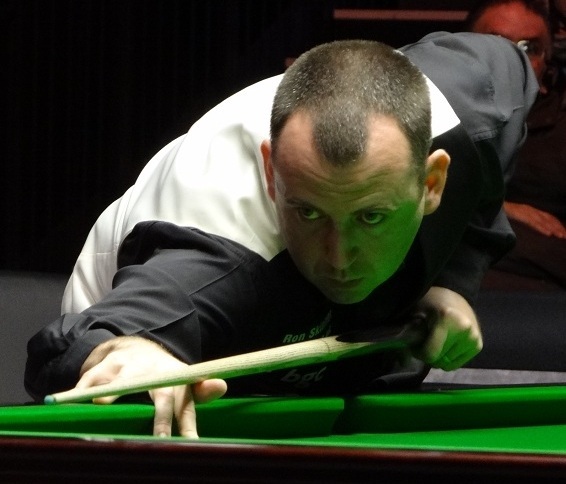 Mark Williams has hit back, dumping Mark Selby, the World Champion, in a thriller of a Masters. Williams staged a riveting recovery, and went on to complete a win of 6 - 5 over Selby in the first round of the Masters. He did this by going on to win the final three frames of what can only be described as an epic opener at the Alexandra Palace. Clearly his head was in the game and he had the right outlook from the get go. It was a 180° turnaround of the outcome one year ago wherein Selby won with 6 - 5 in the first round at the London venue. William, who was the winner of the title in 1998 and 2003 recovered wonderfully after trailing at 5 - 3, and ousted Selby, who missed the last red ball in the 11th frame along the cushion at the bottom that would have ensured him seeing certain victory. Williams kept his cool, clearing the pink to the astonishment and delight of a capacity spectator crowd of 2 000 people at snooker’s largest invitational event. He will next face either Barry Hawkins or Kyren Wilson at the quarter-finals which will take place on Friday. Punters can wager on the outcome of these by means of the betting apps providing access to the event. Williams stated that he thought it had been a good match, in which both he and Selby played well. He was proud that he had not given up, and said that he was simply overjoyed at the result. He went on to say that he felt that he was playing much better than he has for a number of years, and he felt that if he manages to keep this standard of snooker up it was going to take a little something extra from his opponent in order to beat him. Selby did win the International Championship which took place in November, but has undertaken a rather indifferent run by the pristine standards which he set since, losing 6 - 3 to Scott Donaldson in the UK Championship’s second round, which took place last month. Williams, who recently won the Northern Ireland Open in Belfast, claimed the first two frames with breaks of 135 and 89, but Selby then restored parity at the interval for the mid-session, boosted by a 70 knock in the third frame. Selby then moved it 3 - 2 to the good with yet another 70, but Williams drew the game level at 3 - 3 with a brilliant break of 81. It looked likely that Selby would win, as Williams mustered only 11 points in the two frames to follow as a break of 76 helped Selby move two up with a possible three to play. Selby seemed poised on the cusp of victory in frame number nine, but went on to miss the last but one red ball and William seized the chance to close to 5 - 4 behind. Williams’ 58 break forced the deciding frame, and, despite missing a red when he was 39 - 0 clear in the last frame, he escaped punishment, as Selby saw the last red stay over the hole -knowing he was through if it had dropped, holding a lead of six points.